In fact, Jesus prayer constantly. In public. In private. In the morning, Late at night. Pope Francis cited the example of the start of Jesus’ public ministry at Capernaum, where he healed many and performed miracles. The people were amazed and came to him for healing and hear him speak. The prophesies were being fulfilled before their very eyes. Many more such days were to come, days that could have produced adulation and attention. The people would have made Jesus their leader. Yet he withdraws in every case, avoiding the crowds – to pray. 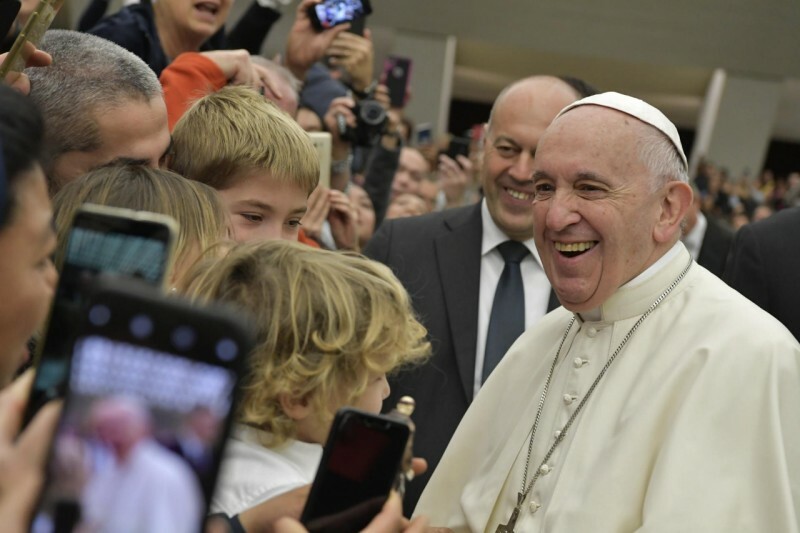 “He does not end up a hostage of the expectations of those that have now chosen Him as a leader, which is a danger for leaders: to attach themselves too much to people and not distance themselves,” Francis explained. “Jesus realizes this and does not end up a hostage of the people. From the first night at Capernaum, He shows Himself an original Messiah. Again, Francis cites an image from scripture, Christ in the Garden of Gethsemane. Jesus is about to enter the agonizing final days of His mission on earth. And where is he? He is in prayer.